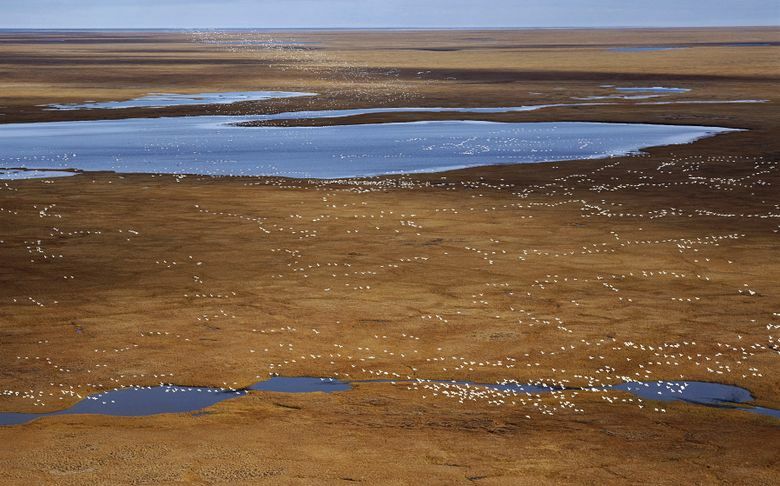 Opponents of drilling in the Arctic National Wildlife Refuge pledge to continue their fight, vowing lawsuits and other action against companies that seek to drill there. 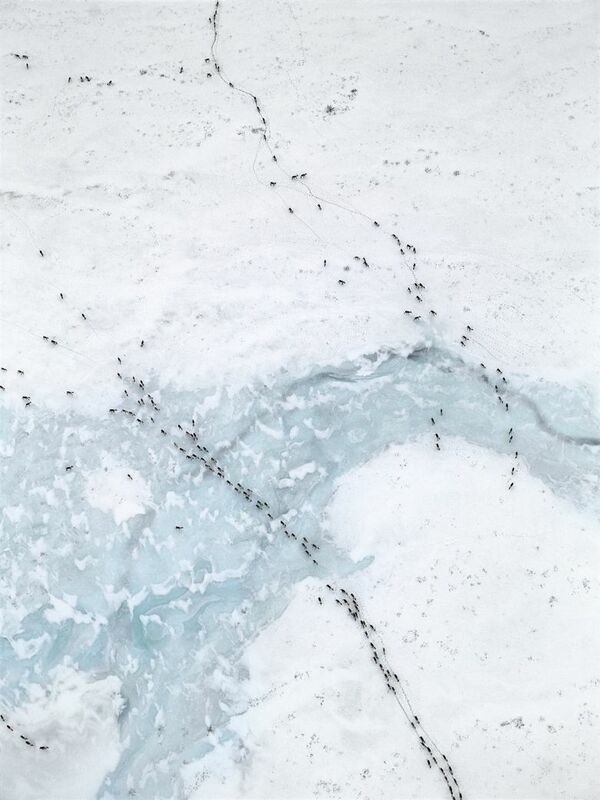 Opening the Arctic National Wildlife Refuge (ANWR) to oil development was included in a massive tax bill that was headed to passage by Congress. The measure would authorize oil leasing within the refuge’s 1.5 million-acre coastal plain, a move opponents decried as destructive and dishonest. The provision was put within the tax bill because it could not have passed on its own, opponents, including Sen. Maria Cantwell, D-Wash., said on the Senate floor Tuesday. Republican backers of the message delighted at its passage. “How do you improve a historic tax cut? I can’t think of a better way than to add the pro-jobs, pro-growth and pro-American energy provisions opening ANWR to responsible development,” Rep. Rob Bishop, R-Utah, chairman of the House Committee on Natural Resources, said in a news release Tuesday. He called the measure long overdue — and, indeed, it has been long-sought by Alaska’s congressional delegation. Drilling was fiercely opposed by Cantwell, environmentalists and indigenous people — who vowed to fight on to protect the refuge by every means possible: in the courts, in demonstrations in banks and shareholders’ meetings, and in protests against any company seeking to drill. “This is not the end; it is the beginning,” said Subhankar Banerjee, a professor of art and ecology at the University of New Mexico in Albuquerque. His photos of the refuge in his book “Seasons of Life and Land” documented the year-round natural splendor of the refuge and the wildlife that lives there. “To think that our nonhuman relatives, that chorus of life could really be destroyed, devastated, is absolutely a crime,” Banerjee said in an interview. Cantwell has been a key ally of environmentalists in their battle to prevent oil exploration in the refuge, but she was unable to block the Senate from including the leasing provision in the tax overhaul. The bill passed the House on Tuesday largely on party lines, and the Senate was scheduled to pass the legislation Tuesday night. However, the plan to send it immediately to President Donald Trump for his signature had to be scrapped when Democrats noted that three provisions violated Senate rules and had to be removed. So the bill will be sent back across the Capitol for a revote Wednesday in the House, where its passage is expected. 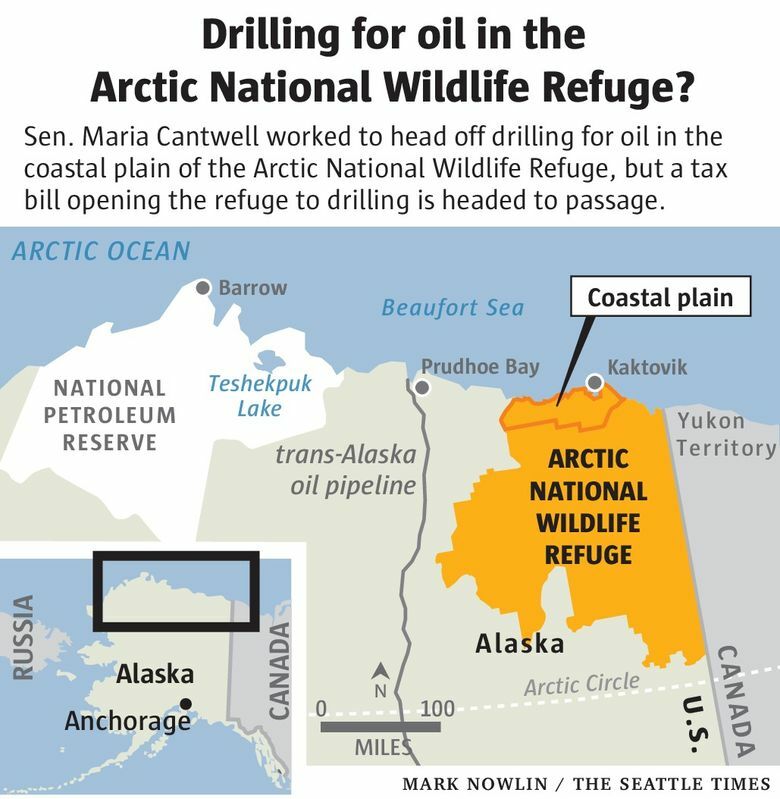 Cantwell said the language included in the tax bill does something unique in the U.S., changing the purpose of the refuge to embrace oil and gas development. The drilling provision raised national ire. Sen. Ed Markey, D-Mass., stood with placard-size photos of the refuge on an easel as he addressed the Senate on Tuesday. “As if this tax bill were not terrible enough, it goes after one of the most beautiful places on Earth,” Markey told colleagues. “This is the biological heart of the refuge and will drive a stake right through it. Seattle Times staff reporter Hal Bernton and The Associated Press contributed to this story.